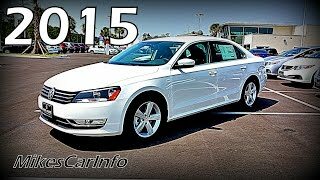 The recent Volkswagen Passat 2015 carries its roots back in year 1974 when Volkswagen introduces Dashier followed by Quantum replacing its 16 years later in 1990. Moving through time finally here we are with the eighth generation Passat rolling dices with futuristic design and wide array of engine to choose from. 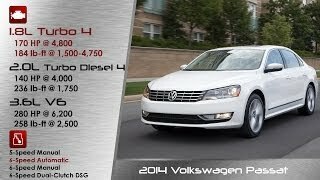 Let us have a swift descriptive look at the review of Volkswagen Passat 2015 and get to know about the model better. 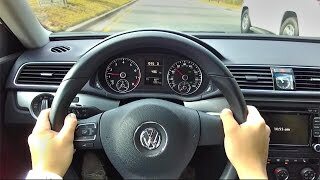 Interior of Volkswagen Passat 2015 is impressive with its premium feel leather and gadgets making the rife fun loving. Cabin gets the dual tone touch with upper part of dashboard coming in black while the lower one, part from center stack gets the mild grey touch. Behind the flat bottom three spoke steering wheel you have a fully digital instrument cluster and a head up display sitting in center. For rear passengers Volkswagen Passat brings a treat through App-based entertainment system making travel better than never before. Though the Volkswagen Passat 2015 would look smaller in size but thanks to its extended wheelbase which offers you enough space inside, availing a comfortable ride. Exterior of Volkswagen Passat 2015 is highly stylish featuring a revised face and rear end. 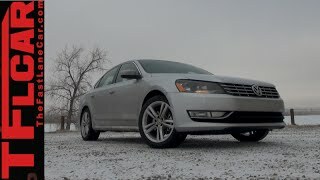 Starting with the front fascia of Volkswagen Passat you’ll find two LED headlights sitting on each cornering around the narrower grille featuring the traditional three-bar design but with a new blend that makes it look better. Beneath is a large air intake providing fresh air to engine while the fog lamps sit erect at both the ends around it. Marching ahead towards the rear fascia of Volkswagen Passat, new set of taillights sit just above the redesigned muscular bumper. Beneath this configuration you have redesigned exhaust while the bumper brings twin tailpipes integrated inside it. Carrying this entire luxurious model is a set of large wheels covered by muscular arches. The Volkswagen Passat 2015 will come with a pile of 10 gasoline and diesel engine options providing you output range from 118 hp to 276 hp. Each of these engines meets Euro 6 emission standards and will avail 20 percent lesser fuel consumption and CO2 emission. 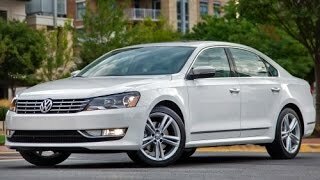 Till date the detailed specifications have not been released but with company sharing it we’ll bring them all for your glance and to know if the Volkswagen Passat 2015 meets the expectations.